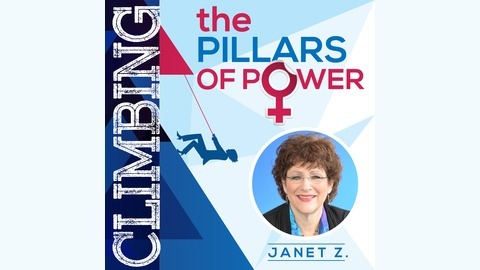 Welcome to Climbing the Pillars of Power: Supporting women in business to get noticed, get heard and get ahead. Janet Zaretsky, is a Master Power Coach, Forbes.com Contributor, and Serial Entrepreneur. As a master business success coach and strategist, Janet is a powerhouse that has led programs and coached over 31,000 people over the last 2 decades. She is excited to bring you the Climbing the Pillars of Power Podcast. This is a podcast for women who want to break barriers - from their own blocks that keep them from making the money they want, to the cultural, societal and organizational barriers that keep them from having their voice heard, their opinion valued and rewarded, and shattering the ‘glass ceiling’. They key themes we explore are confidence and getting past self-doubt and Impostor Syndrome, success money mindset, being powerful in the face of conflict, creating win-win relationships, motivation, effective communication, inspiration, and practical tools to get what you want and deserve. This podcast is for women in business, entrepreneurs, career professionals as well as executives or want-to-be execs. 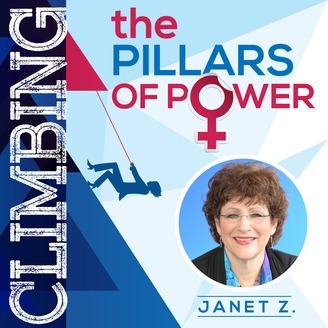 Climbing the Pillars of Power is all about empowering women in their work and in their lives. It is about finding the places where you lack power or are not as powerful as you would like and discussing the why’s and what to do about it. In this podcast we discuss one of the most destructive habits that all of us participate in to a degree—gossip! From simple gossip with a friend to the extreme behavior of blackballing, gossip causes damage. However, research shows that we all have and do participate for reasons that have to do with social behavior. Think about all the times in your life, from a young age that had you feel special when someone shared a ‘secret’ about someone else. It seems innocent, until you are the someone whose secret is shared! You may feel like you have no control, you might be embarrassed or feel shunned or even ashamed, or simply angry. All, of course, normal reactions but not powerful. In this podcast, I give you alternative ways to respond when you are the subject of gossip that leave you powerful. I also give you techniques to be effective when you have something you are not happy with other than complain and gossip to others. I think you will find what this podcast has to offer you is lifelong solutions that you leave you powerful and producing results you will be happy with. 07: Where’d My Confidence Go?